“Employment for all” was one of agendas of Narendra Modi government. The high percentage of unemployed youth hinders the development of the nation. If job seekers are not aware of the opportunities in the market, they will not be able to apply. To bridge this information gap, the state government of Madhya Pradesh has launched a new portal that will allow job seekers as well as employers to register online. The name of this site is My MP Rojgar Portal. This portal was launched to support ‘Ham Chhu Lenge Aasman‘ program that aims to offer career guidance to young students.. It is not easy for candidates as well as company owners to search for the right opportunity without additional assistance. It is here that this portal comes to the forefront. The site will tally the requirements of job seekers as well job providers. Job seekers will be judged on their experience and educational merit. Searching for a right match will be easy with the software. Thus, fast results will be generated, and interested candidates will get quicker job notifications. Development of job market – With the launch of this portal, any interested candidate will get details about available openings without much trouble. It will reduce unemployment, and help in progress of the state. Registration of job seekers – Job seekers will be able to open a personal account on the portal. Here, they will type in details about their qualification, training, experience and preferences. They will receive notifications accordingly. Registration of job providers – Company owners and offices, which are looking for appropriate candidates, will be able open accounts on behalf of the company. It will make recruitment process easy. Free account – No fee will be charged by the MP state government for opening an account on this portal. Selection of preferences – The applicants will be able to select and highlight their preferred job type, sector, location, and other related information. Easy updates – Both the company owners and job seekers will be able to update their accounts and details as and when required. Submission of online applications – When the applicant sees an opportunity that he/she likes, he/she can apply for an interview immediately. The portal has provisions for submitting online job applications. Associated information – Apart from these benefits, the site will also offer the candidates details about job fair. The location, date and time of these job fairs will be highlighted on this portal accordingly. How to login for job seekers? If any applicant is interested in opening an account, then he/she will have to click on the official link of this site. The online address is http://mprojgar.gov.in/indexh.aspx. Once the login page opens, a new candidate can register by clicking on the option “New Job seekers Register Here.” It is marked in red and appears at the foot of the captcha box. After this, he/she needs to register with a user ID and password. The process will not be complete until the candidate types in the captcha code, and clicks on the “Login” button. After logging in, he/she will get to the main area where all other details must be typed in. These consist of academic details, training, prior job experience, and other preferences. How to login for employers? There is a separate option that allows employers to advertise the vacancies and invite applications. 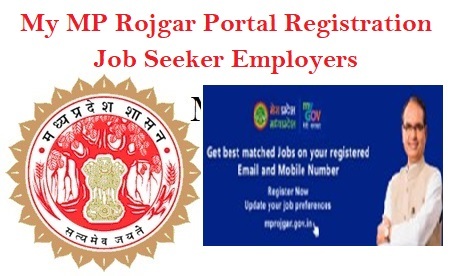 If any employer is looking for educated and interested employees, then he/she needs to log on to the official website, by clicking on the link http://mprojgar.gov.in/indexh.aspx. As soon as the main page opens, a smaller box will get activated on the screen. There is a separate link that is present on the left side of the box. Clicking on the link will give the employers access to the page where, they can highlight information about the company and job role. It will trigger the site to open the registration page. To get to the main registration page, the employer must type in the user Id and password. As soon as he/she enters the captcha code, and clicks on “Login”, the employer will get to the main area, where he or she can highlight the details. Lack of information has always hindered job seekers from milking lucrative opportunities. With this portal in place, the educated, trained and experienced youth of the state will not have to worry about this anymore. With this employment site, the state will be able to solve unemployment issues to some extent. So, the state has urged interested candidates to take advantage of this portal.